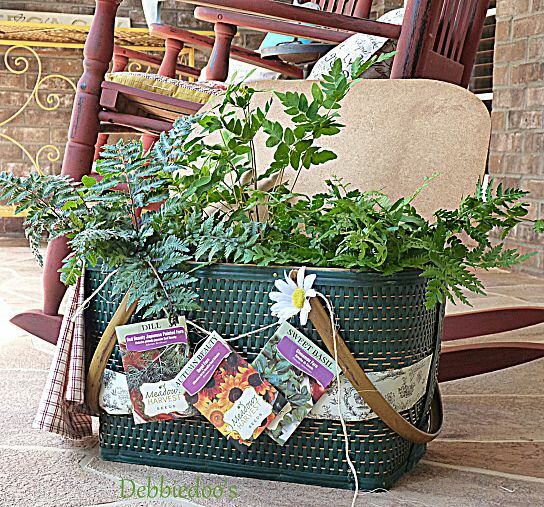 Last summer I dressed up this old vintage basket with garden seed packets and twine as you can see. and thought of something else cute to do. Now how about a picnic? I have been wanting to have a picnic for a while now. Finally the weather is ready to cooperate. Of course budget friendly, all from the Dollar tree. 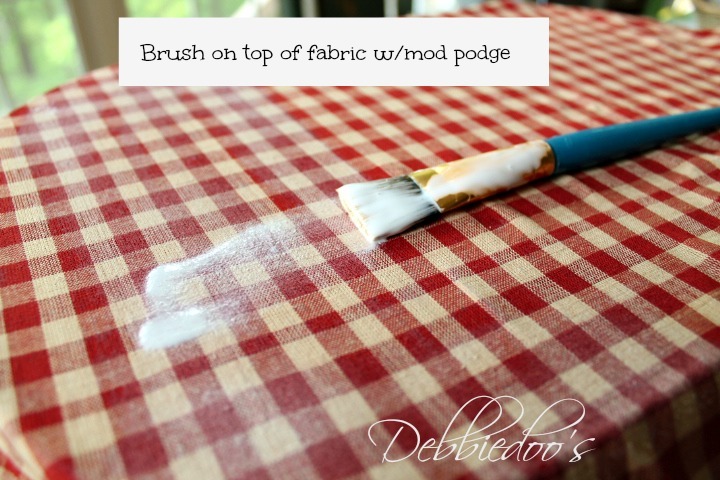 diy gingham utensil holders too.. 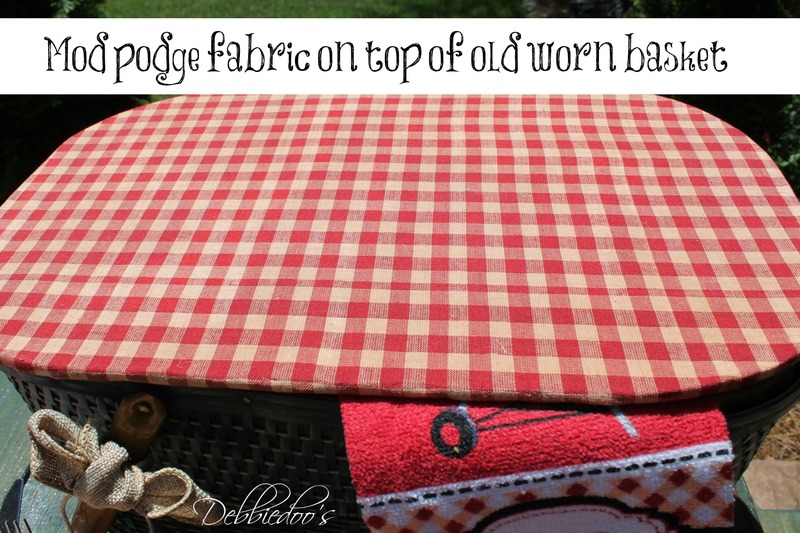 This was the very last of the gingham fabric, so I lined the picnic basket with it as well. That too was in rough shape. 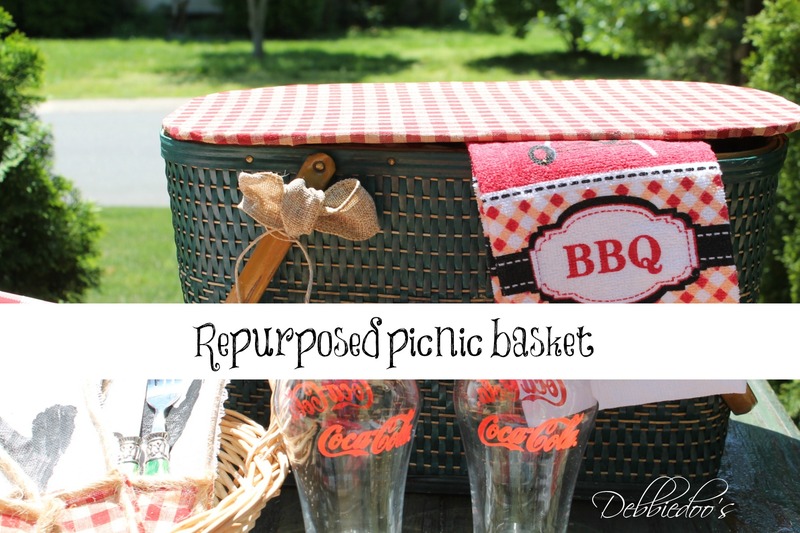 with my repurposed picnic basket. Always enjoy your visits and your sweet comments. Oops forgot to show you the top and how nice it looks now. Debbie – How cute. 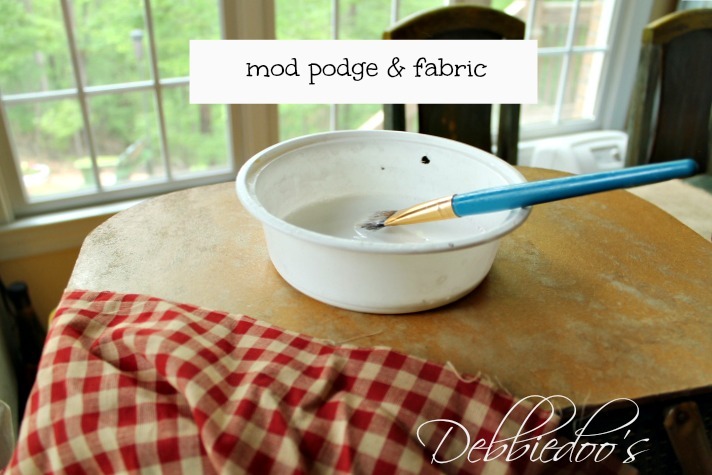 Love how you recovered that with the fabric and Mod Podge! Great redo. 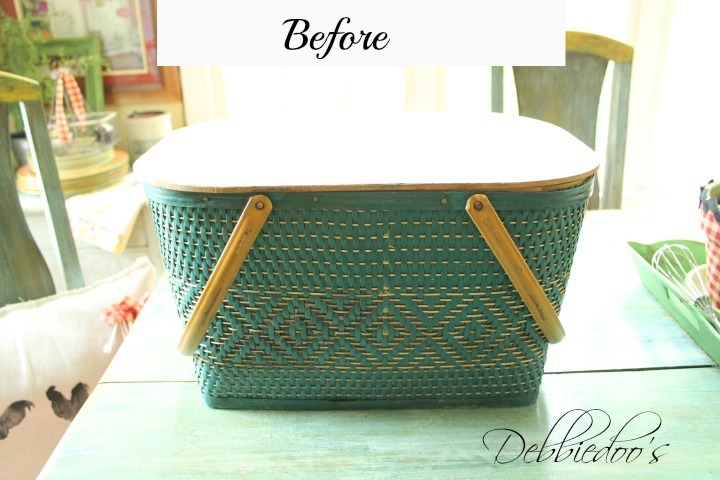 What an adorable upcycle job there Debbie!!! beautiful!! Very classy! It went from country to kind of contemporary, I like it! Perfection my dear!!! Good Sunday morning sweetness! Great idea and so cute! Happy Sunday, Debbie. I love red and white gingham! So cute, NOOOO I think yours is cuter! 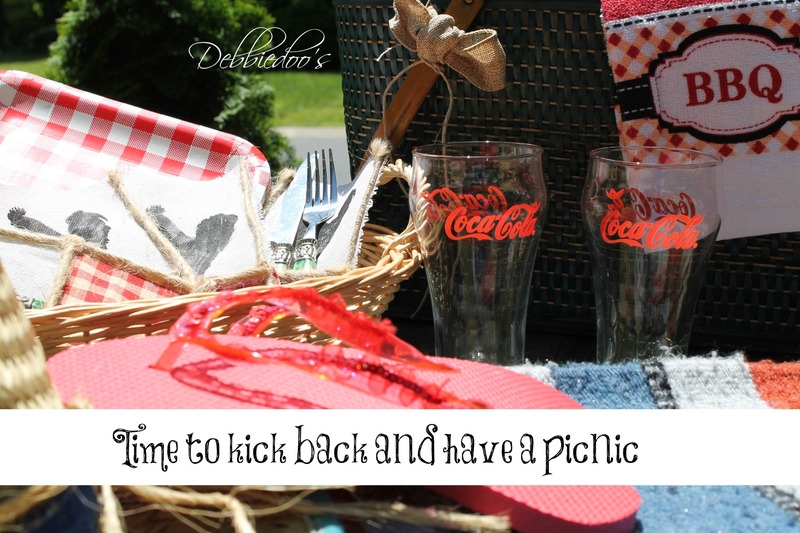 I want to go on a picnic, doesn’t that sound like fun! 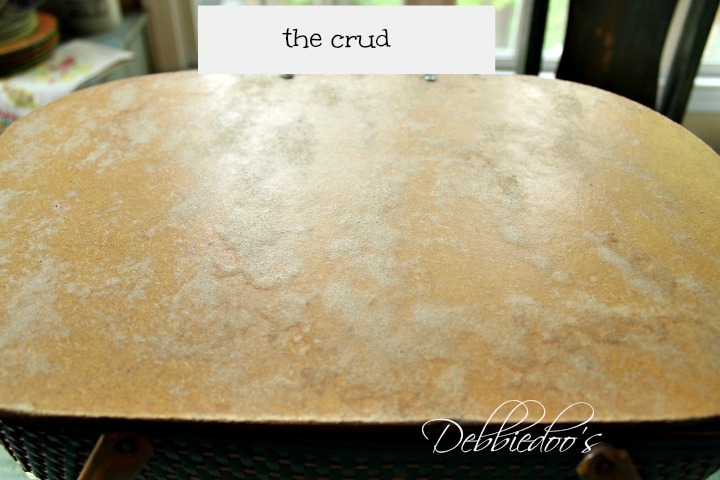 Very pretty, Debbie! 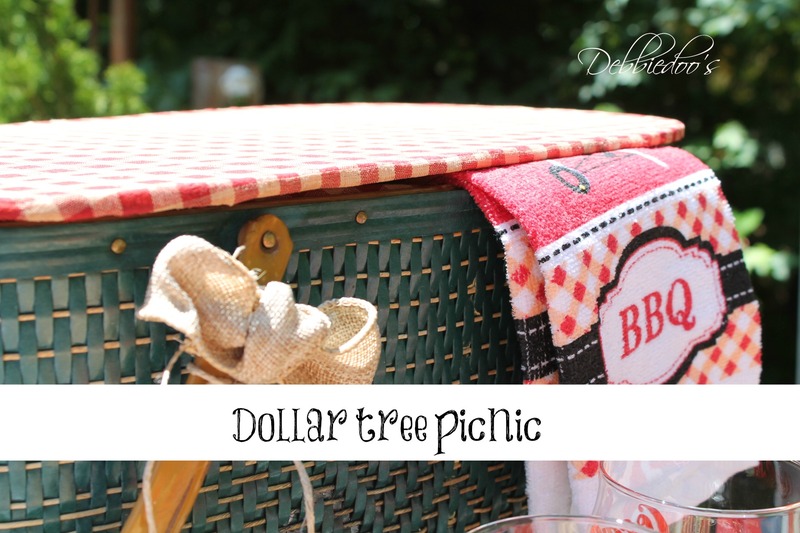 I love picnics. I’m hoping to get a couple in before it turns hot and humid for the Summer. Love how you gave new life to the old yucky top. Basket looks so cute now. Love the gingham added to the top. 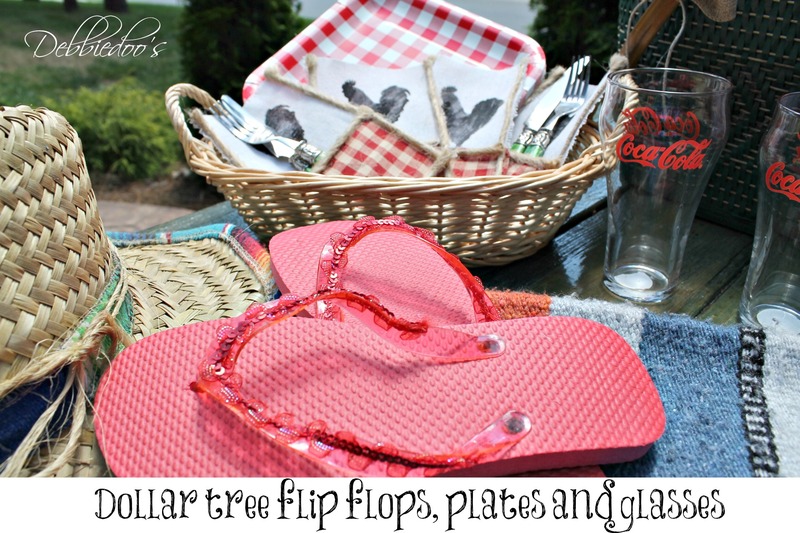 Hopefully picnic type weather will be here some this week. 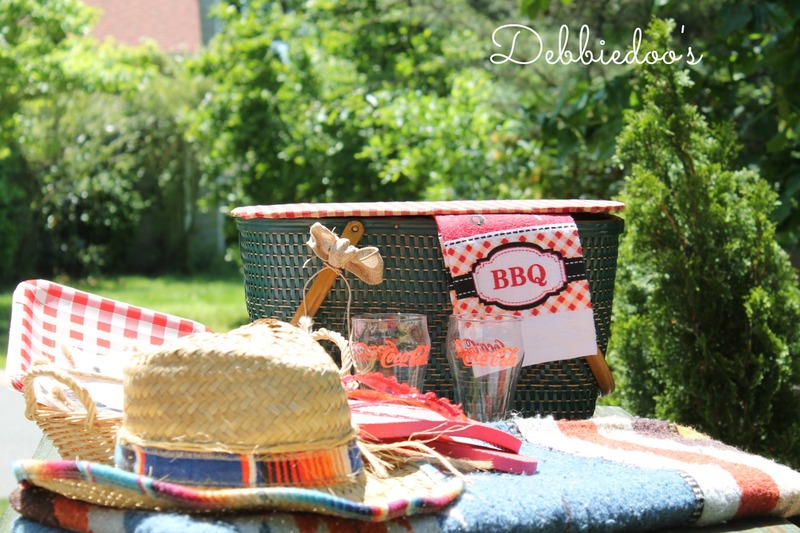 Love your picnic basket Debbie! 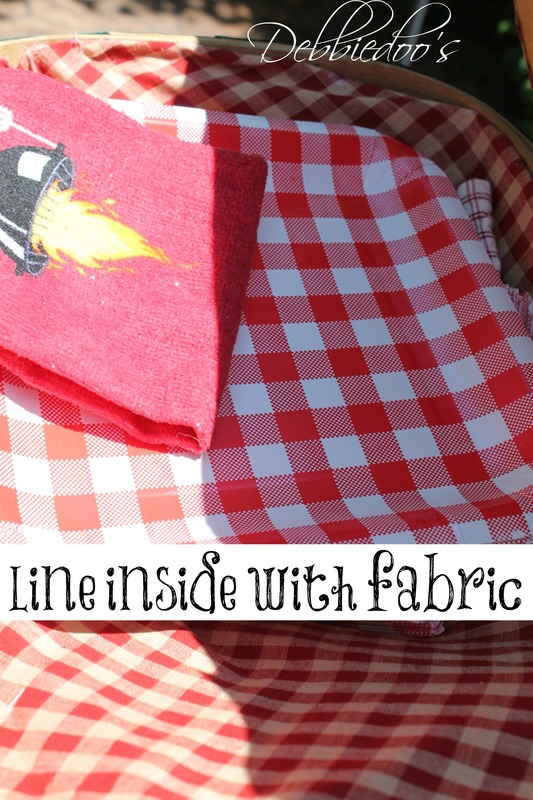 Gingham checks are perfect picnic fabric! I love the way you updated the basket. The gingham fabric is perfect.